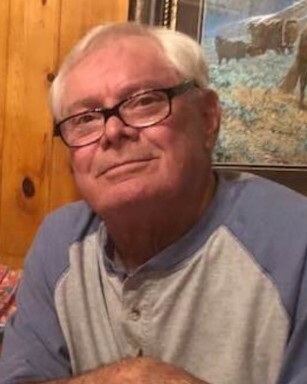 Jimmy Howard, 74, of Duncan, Oklahoma passed away Monday, August 13, 2018 in Duncan. Funeral services will be at 10:30 AM, Thursday, August 16 at Don Grantham Funeral Home Chapel with Brad Allen officiating. Interment will follow at Duncan Cemetery under the direction of Don Grantham Funeral Home. Jimmy was born in 1944 to Theo and Thelma Howard in Healdton Oklahoma. Jimmy had three siblings Richard, Gene, and Teresa Howard. He moved with his family in 1952 to Duncan. He was a graduate of Duncan High School. He married the love of his life Donna Kay Frensley on February 1st 1963. Jimmy and Donna had three children Stacey Lynn, Jay Brett, and Michael Don Howard. Jimmy was a computer programmer for Halliburton and eventually started his own independent oil business, Stamic Oil in 1980. Jimmy was a family man. He loved his family more than life itself. Family was the most important thing to him. He was “Papa” to his grandkids and great grandkids and “JimJim” to his nieces and nephews. Jimmy loved spending time with grandchildren and great grandchildren, fishing, hunting, and spending time at his home in Red River New Mexico, where he enjoyed the weather and the friends he met there. Jimmy is survived by his wife of 55 years Donna Kay Howard, his children Stacey Lynn Harris and Kenny, Duncan. Michael Don Howard and Toni, Duncan. His grandchildren Stevie Nichole Dimery, Coralville Iowa, Taylor Elizabeth Snider and Randal, Edmond Oklahoma, Ethan Jay Howard, Duncan, Bailee Jade Howard, Duncan, and Hunter Harris and Andrea, Lindsay Oklahoma. His great Grandchildren Easton Michael Stansbery, Coralville Iowa, Killian Jay Snider, Edmond Oklahoma, Halli Harris and Hudsyn Harris, Lindsay. Jimmy was preceded in death by his son Jay Brett Howard, his parents Theo and Thelma Howard, his brothers Richard and Gene Howard. Jimmy will be missed and never forgotten. Our love for him will live on in our memories forever. Pallbearers will be Gaylon Russell, Brent Russell, Brad Russell, Randy Freel, Ethan Howard and Jake Hunt. In lieu of flowers, the family has asked that memorial donations made to the Duncan Cancer Center c/o Cancer Centers of Southwest Oklahoma 2110 Duncan Regional Loop Road Duncan, Oklahoma 73533. Condolences may be left for the family at www.granthamfuneralhomes.com.